Pharmacist, municipal official, MLA (1888-1892), MLA (1892-1895), civil servant. Born in the village of West Flamborough, County of Wentworth in 1845, eldest son of Walter Colcleugh, he received his early education at the grammar schools in Dundas and Picton, Ontario. He then studied law but abandoned his studies in 1876 to enter business with his cousin, James Colcleugh, in Selkirk. He was a member of the Selkirk Town Council for fourteen years, serving as its second Mayor in 1886 and again from 1888 to 1891. 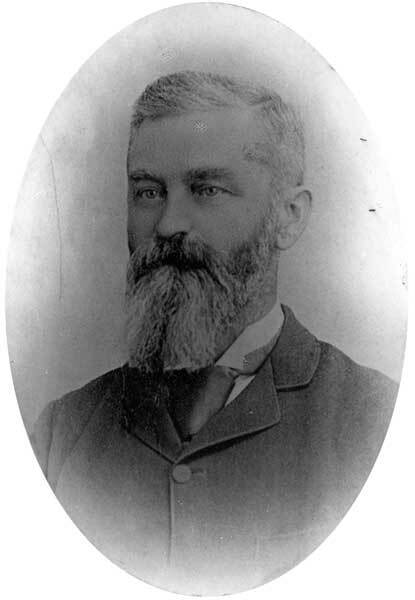 He was an unsuccessful candidate in the provincial election of 1886 but was returned for the constituency of St. Andrew’s in the general elections of 1888 and 1892. In politics he was a Liberal, a free trader and a strong advocate of provincial rights. Following his retirement from politics, he succeeded R. L. Tupper as a fisheries inspector. In 1865, he married Isabella Nichol (?-1887), eldest daughter of James Nichol, and they had seven children, including Margaret Alice Colcleugh (1877-1916, wife of Frederick Heap). He died at the Winnipeg General Hospital on 21 October 1907 and was buried in the Mapleton Cemetery. “F. W. Colcleugh passes away,” Winnipeg Tribune, 21 October 1907, page 1.